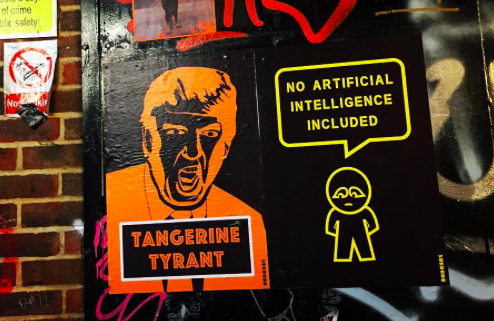 SubDude has taken the Street Art scene by storm with his satirical and witty pieces which can be seen in the streets of London. His hard hitting slogans and political comments translate well into desirable and unique limited edition screen prints. SubDude will be exhibiting in our Street Art exhibition ‘Outside In’ in June 2018 so watch this space.